Due to some reshuffling at NBC, that network’s late night poker show, Poker After Dark, could find itself airing even later than it does now or not airing at all. 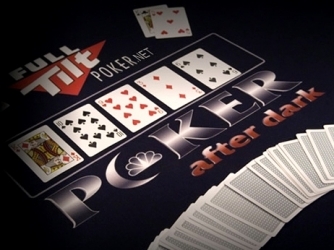 Are you addicted to the NBC TV show Poker After Dark, like I am? The show…for those who don’t know…airs after Carson Daly’s late, late show, at 2:05 a.m. So what happens now, with all the news about Leno returning to late night, in the 11:35 p.m. slot, moving everyone else back. We assume. Looks like at best, PAD will be pushed back half an hour. Maybe. What’s going to happen to all the shows after Jay Leno? I don’t really give a damn (although I like Conan)… but I don’t want to lose Poker After Dark. The show has enjoyed a modicum? of success on NBC’s late night slate. I’ll keep my eye on news coming out of NBC and we’ll see what they do with the show.